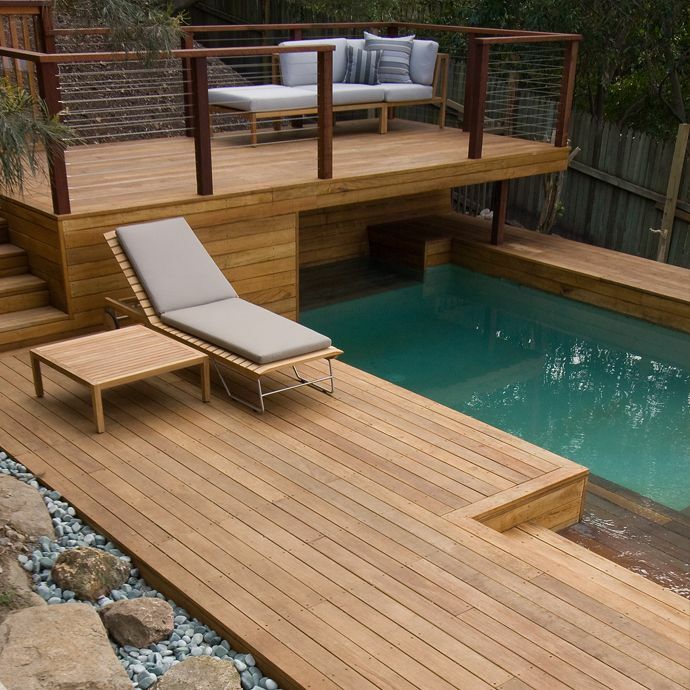 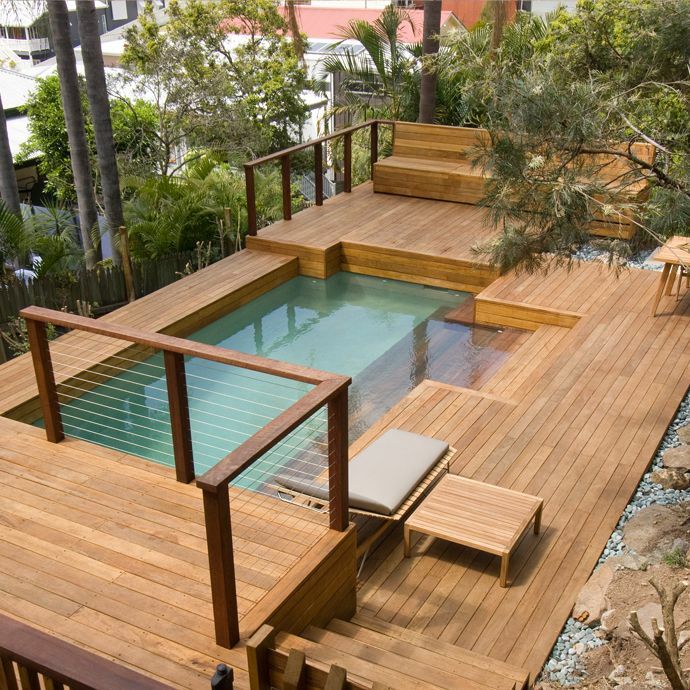 Original free-form natural beach pool converted to a formalised `stepping deck` design. 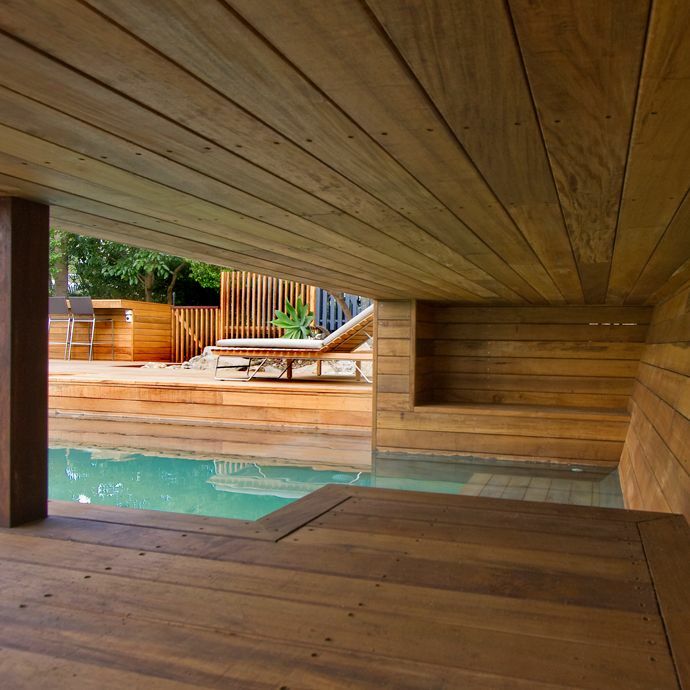 Pebblecrete interior, Teak copings & lining to underwater benches. 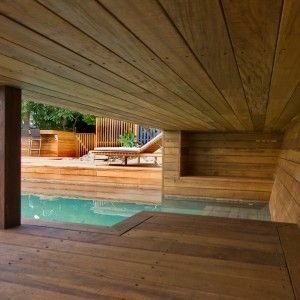 Timber `cave` feature & injected air feature. 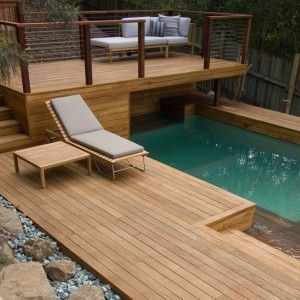 Solar heated & salt water chlorination.